Will your products, subsystems or components operate as designed when exposed to fire conditions, or will they go up in flames? Fire and flammability testing is required for products used in a wide range of industries, including Aerospace, Defense, Telecommunications, and Consumer Electronics. NTS offers fire and flammability testing services, typically falling into two categories: 1) ignition and flame spread, and 2) fire resistance. 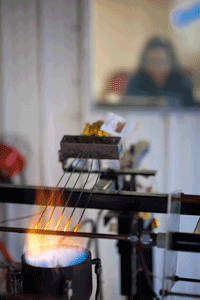 This type of testing is used to determine the impact of a direct flame on operating or non-operating equipment. Devices tested can range from fuel or hydraulic lines, pumps or actuators for aircraft engines, to telecommunications central office network equipment. Often the test is combined with additional factors, including vibration, pressure, gas and air flow, and temperature variations, depending on formal specification and your individual requirements. Fire resistance testing simulates the effects of a real fire. It measures the ability of items to continue to function and not burn in a fire environment. The flammability characteristics of materials exposed to controlled external flame are accurately measured. The flammability of the material is determined by a wide range of criteria depending on product type and applicable standards. The FAA and other organizations calls out a number of specifications for fire and flammability testing. These include RTCA DO-160 Section 26, ISO 2685, FAA AC20-135, FAA Powerplant Engineering Report No. 3A and FAR Part 25. NTS holds approvals from a number of primes and is a Rolls Royce Fire Test House. Meeting these specifications required specialized burner equipment and customized fire rooms for the safety of technicians and engineers. Specifications call out various burn lengths, the distance from the original edge to the farthest evidence of damage to the test specimen due to flame impingement, and burn time to failure of components depending upon the component being tested, for example 60 seconds is the specification for interior compartments housing crew or passengers. Fire spread testing is a part of the GR 63-CORE telecommunications standard. 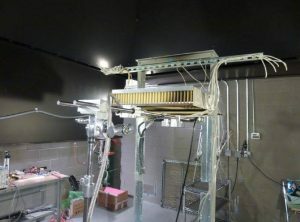 During fire spread testing for NEBS certification, flames are allowed to leave the confines of the shelf for no longer than 30 seconds along with other criteria. 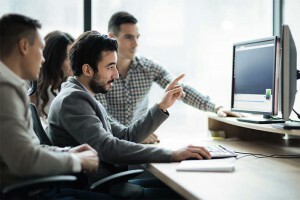 Fire is one of the tests that has undergone major changes in recent years. Verizon (SIT.NEBS.TE.NPI.2002.010, Oct 1, 2002) has implemented different test methods from those found in GR-63-CORE or ANSI T1.319. Fire spread is an area that careful attention should be paid to, NTS engineers work closely with our customers to minimize the costs of this difficult and destructive test. NTS offers a variety of testing for UL approvals, including flammability testing under UL94. The glow wire test is used to simulate the effect of heat as may arise in malfunctioning electrical equipment, such as with overloaded or glowing components. Test results provide a way of comparing the ability of materials to extinguish flames and their ability to not produce particles capable of spreading fire. The glow-wire apparatus and common test procedure is specified in IEC 60695-2-10. A finished product or portion thereof is subjected to a glow-wire tip for 30 seconds at a specified temperature to determine if that contact exposure causes the sample to ignite. 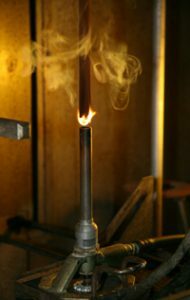 If the sample ignites the duration of the flame, the maximum height, and if dripping material ignites a layer of tissue below the sample is recorded. The sample is considered to pass if there is no flame, or if the flame extinguishes within 30 seconds of the glow-wire being removed and the tissue paper is not ignited, unless otherwise specified in the relevant specification. Test samples should be an entire finished product unless size prevents it from being tested, if you have a question please contact the lab. The part must be at least large enough that if an 8mm circle was drawn on paper, the circle could be completely hidden from view by the part in some orientation. Only one sample is required for the test, though we suggest additional samples be provided in case they are needed. Some specifications requiring this test also require additional samples. IEC 60695-2-11 – The Glow Wire Test (GWT) is used when glow wire testing is performed on an end product. The results of this test will be either PASS or FAIL at a given temperature. Passing the test requires that the sample does not ignite or self-extinguishes within 30 seconds after removal of the heated element. Also, the sample may not ignite the tissue paper if drips occur. IEC 60695-2-12 – Glow Wire Flammability Index (GWFI) is a property associated with raw material used in the end product. This property is determined by conducting the glow wire test on a test plate of a raw material of a given thickness. The GWFI is the highest temperature at which the material does not ignite or self-extinguishes within 30 seconds after removal of the heated element. IEC 60695-2-13 – Glow Wire Ignition Temperature (GWIT) is a property associated with raw material used in the end product. This property is determined by conducting the glow wire test on a test plate of a raw material of a given thickness. The GWIT is the lowest temperature at which the material ignites and burns for longer than 5 seconds while the heated element is in contact with the test plate. 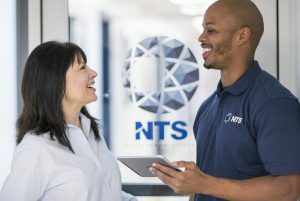 Contact NTS today to learn more about our Fire and Flammability Testing services.